In one band (past or present) what would you play and who would it be with? 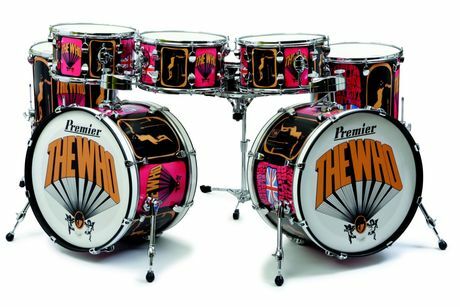 I'd drum for Led Zeppelin just because my whole style of playing has came from watching old videos of Bonham and live footage of Led Zep. I'd play anything in L7. Just to share a dressing room with them. L7, my, there's a blast from the past. I saw em at reading festival during their pretend we're dead era and i tell no lie the guitarist whipped a tampon out of her vaginia and threw it into the crowd. it was about 3 feet above my head and some greasy grunger kid behind me caught it. Drums for Faith No More no make that Kyuss no make that Elbow no make that Therapy? or maybe The Bluetones or possibly the Wildhearts, balls this is hard! I'd love to play in Pendulum just for the intensity of the gigs but for a childhood dream situation I'd say Ash. I'm up for that purely so i have a reason to give this a thumping!